A good leather jacket is an absolute wardrobe staple. Regardless of how often you reach for it in your closet, it is an item that should be there for those time when you need it to be. I often forget how great of a piece a leather jacket is. It makes such a statement and can be styled so many different ways, which makes it so versatile. I love that it is an edgier look that most definitely brings out a little bit of the badass in all of us, but also can be paired with feminine styles and prints for a softer look. Like I said before, it is a piece that needs to be in your closest. It is just as important as a crisp white button down, classic blazer, and killer pair of jeans! During these winter months, I find myself gravitating towards my own leather jacket more and more. It is just as perfect for a casual Saturday look as it is for a night out on the town. My jacket is from quite a few years back, but is Lucky Brand and very similar to this one. Real leather is of course much more expensive but if you look at it as an investment and something you will wear for years to come then I say go for it. I'm not going to lie, there are some pretty great faux leather jackets out there that come pretty darn close to the real thing. A good faux one will still cost a decent amount, but it is absolutely necessary to spend a little more. There is nothing worse than a cheap looking faux leather jacket! It is worth it to spend a little extra for a higher quality faux leather jacket - you'll be happy you did in the long run! 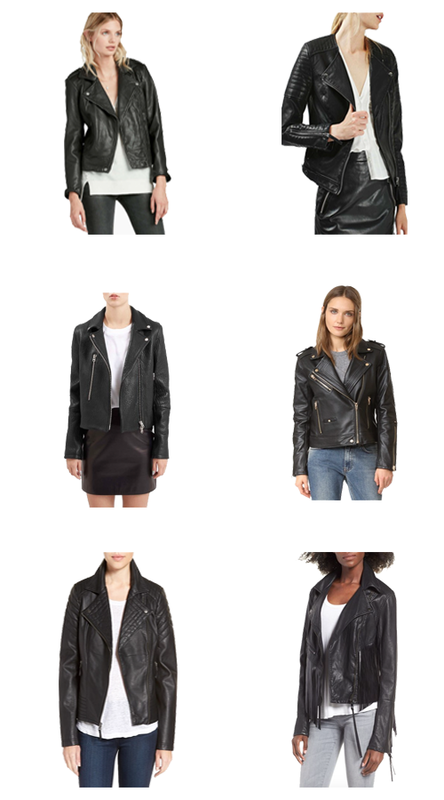 I have rounded up some of my favorite leather jackets out there right now - both real and faux leather. Although I already have my own go-to leather jacket, it was fun 'shopping' for some new ones, and I definitely added some of these to my own wish list! It is the small details like the hardware choices, collar cuts, and quilted panels that really make a leather jacket something. I mean this fringe detailing is to die for! 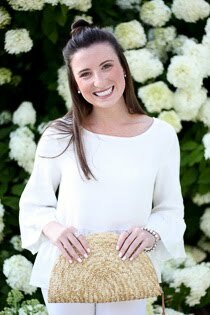 I also love that there is such a variety of different choices, which means that regardless of your own personal style, there is something for everyone! Check them out below and find the perfect one to add to your wardrobe. Enjoy! Lucky Brand & leather jackets. I like it. Great collection, thanks for suggesting such awesome designs. The leather is on trend now once again.Thanks for sharing this post in so much detail! Definitely, need to pamper myself with a new lather jacket... xoxo Best wishes and Regards.